Have you tried hemp oil? After almost a century of being outlawed, hemp—a form of cannabis with extremely low levels of psychoactive THC—is now legal in the United States. This is big news for people interested in the therapeutic effects of cannabidiol (or CBD) because—while hemp doesn’t contain enough THC, the compound that provides the “high” of cannabis, or any other psychoactive compounds—it does contain cannabidiol (CBD). For years, all anyone talked about when they talked about cannabis was the THC content. Breeders focused on driving THC levels as high as possible and ignored the other compounds. Even pharmaceutical companies interested in the medical applications of cannabis focused on the THC, producing synthetic THC-only drugs that performed poorly compared to the real thing. It turns out that all the other components of cannabis matter, too, and foremost among them is CBD. CBD doesn’t get you high, but it does have big physiological impacts. These days, researchers are exploring CBD as a treatment for epilepsy, anxiety, and insomnia. They’ve uncovered potential anti-inflammatory, anxiolytic, and immunomodulatory properties. And now that it’s quasi legal, hundreds of CBD-rich hemp oil products are appearing on the market. 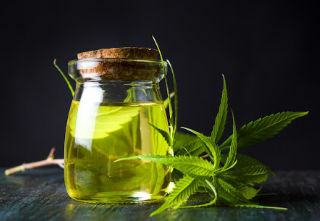 What are the purported benefits of using CBD-rich hemp oil, and what does the evidence say? Although CBD research is growing, it’s still understudied and I expect I’ll have to update this post in the near future with more information. But for now, here’s a rundown of what the research says. Anxiety can be crippling. I don’t have generalized social anxiety, but I, like anyone else, know what it feels like to be anxious about something. It happens to everyone. Now imagine feeling that all the time, particularly when it matters most—around other people. The average person doesn’t consider the import and impact of anxiety on a person’s well-being. If CBD can reduce anxiety, that might just be its most important feature. Does it? Before a simulated public speaking event, people with generalized social anxiety disorder were either given 600 mg of CBD or a placebo. Those who received CBD reported less anxiety, reduced cognitive impairment, and more comfort while giving the speech. Seeing as how people without social anxiety disorder claim public speaking as their biggest fear, that CBD helped people with social anxiety disorder give a speech is a huge effect. This appears to be legit. A placebo-controlled trial is nothing to sniff at. In insomnia patients, 160 mg/day of CBD increased sleep time and reduced the number of arousals (not that kind) during the night. Lower doses are linked to increased arousals and greater wakefulness. High dose CBD improved sleep; adding THC reduced slow wave sleep. In preliminary research with Parkinson’s patients, CBD reduced REM-related behavioral disorder—which is when you basically act out your dreams as they’re happening. More recently, a large case series (big bunch of case studies done at once) was performed giving CBD to anxiety patients who had trouble sleeping. Almost 80% had improvements in anxiety and 66% had improvements in sleep (although the sleep improvements fluctuated over time). While its psychoactive counterpart THC has been embroiled in controversial links with psychosis and schizophrenia for decades, CBD may be an effective counterbalancing force for mental health. In patients with schizophrenia, six weeks of adjunct treatment with cannabidiol resulted in lower rates of psychotic symptoms and made clinicians more likely to rate them as “improved” and made researchers more likely to rate them as “improved” and not “severely unwell.” There were also improvements in cognitive performance and overall function. It seems the “adjunct” part of this study was key, as other studies using cannabidiol as the only treatment mostly failed to note improvements. This was placebo controlled, so it makes a good case for CBD hemp oil as adjunct treatment (in addition to regular therapy) in people with schizophrenia. Among 11 PTSD patients who took an average of 50 mg of CBD per day for 8 weeks, 10 (90%) experienced a 28% improvement in symptoms. No one dropped out or complained about side effects. CBD seemed to particularly benefit those patients who had issues with nightmares. This is promising but preliminary. This was an 11-person case study, not a placebo-controlled trial. A recent review of four human trials lays out the evidence: More than a third of all epilepsy patients experienced 50% or greater seizure reductions with just 20 mg of CBD. The effect of CBD on seizure activity is so widely acknowledged and understood that the only FDA-approved CBD-based product is Epidiolex, a plant-based CBD extract used to treat seizures in patients with Dravet syndrome and Lennox-Gastaut syndrome. CBD for epilepsy is legit. Side note: I wonder how CBD would combine with ketogenic dieting for epilepsy control. By far the biggest draw for medical consumers of CBD is its supposed ability to nullify pain. In one study, researchers induced arthritis in rats with intra-articular injections, then gave them CBD. Rats given CBD were able to put more weight on their joints and handle a heavier load before withdrawing. Local CBD reduced nerve damage. That’s great for pet rats. What about people? There actually isn’t a lot of strong data on pain management using CBD by itself. Far more robust is the evidence for using CBD with THC for pain. According to this group of researchers, the two compounds exert “constituent synergy” against neuropathic pain. One study found that low doses of each were more effective combined than high doses of either alone in neuropathic cancer-related pain. Another gave a THC/CBD oromucosal spray to otherwise treatment-resistant neuropathy patients, finding that the spray reduced pain, improved sleep, and lessened the severity of symptoms. Anecdotal evidence for pain relief and other benefits with CBD is vast. Chris Kresser, a practitioner and researcher I trust, swears by it. I have employees who use it quite frequently, reporting that it improves their sleep, hones their focus, reduces pain, speeds recovery, and reduces anxiety. These things are always hard to evaluate, but I can say that my people do great work, and I have zero reason to distrust them. In later posts, I’ll probably revisit some of these other, more theoretical or anecdotal potential benefits to see if there’s any evidence in support. A recent study gave up to 6000 mg of CBD to healthy subjects, finding it well tolerated and the side effects mild and limited to gastrointestinal distress, nausea, somnolence, headaches, and diarrhea. For comparison’s sake, keep in mind that a typical dose of CBD is 20 mg. Mouse research indicate that extended high-dose CBD (15-30 mg/kg of bodyweight, or 1200-2400 mg per day for an 80 kg man) might impair fertility. Male mice who took high-dose CBD for 34 days straight experienced a 76% reduction in testosterone, reduced sperm production, and had dysfunctional weird-looking sperm. In the 30 mg/kg group, the number of Sertoli cells—testicular cells where sperm production takes place and sperm is incubated—actually dropped. Male mice taking CBD also were worse at mounting females and had fewer litters. Those are really high doses. For epilepsy, a common dose is 600 mg/day, and that’s for a severe condition. Most other CBD therapies use much smaller doses in the range of 20-50 mg/day. Long term safety may still be an issue at these lower doses, but we don’t have any good evidence that this is the case. There’s some evidence that the dosages of CBD required to achieve anti-inflammatory effects are also high enough to induce cytotoxicity in healthy cells, though that’s preliminary in vitro (petri dish) research and as of yet not applicable to real world applications. Time will tell, though, as the legal environment opens up and we accumulate more research. Is Isolated CBD the Same As Whole Plant Extracts? They contain all the components related to the compound, especially the ones we haven’t discovered and isolated. Supplements only contain the isolated compounds we’ve been able to quantify. They capture all the synergistic effects of the multiple components working together. Isolated supplements miss that synergy unless they specifically add it back in, and even then they’ll probably miss something. It’s likely that whole plant hemp extracts high in CBD are superior to isolated synthetic CBD for the same reason. Is there any evidence of that? A high-CBD cannabis whole plant extract reduces gut inflammation and damage in a mouse model of inflammatory bowel disease. Purified CBD does not. Even at a 2:1 CBD:THC ratio, co-ingesting isolated CBD with isolated THC using a vaporizer fails to reduce the psychotic and memory-impairing effects of THC. In another study, however, smoking cannabis naturally rich in both CBD and THC completely prevented the memory impairment. And as we saw in the pain section above, THC combined with CBD seems more effective against pain than either alone. That’s not to say isolated (even synthetic in some cases—see note below) CBD isn’t helpful. We saw it improve joint pain and reduce nerve damage in arthritic rats. It’s just that full-spectrum hemp oil containing multiple naturally-occurring compounds is probably ideal for general health applications. Specific conditions requiring high doses may be another question entirely. Again, we’ll find out as more research comes out. A word about synthetics: this is fodder for a follow-up, but it appears there may be additional concerns with synthetic CBD, and even supposedly “natural” CBD companies have in some cases allegedly added ingredients to their formulas without letting consumers know. CBD-rich hemp oil lies in a legal grey area. The recently passed Farm Bill allows people to grow and make products from industrial hemp, as long as it contains less than 0.3% THC. That means CBD derived from industrial hemp is legal at a federal level. But because the Farm Bill has provisions that allow states to set their own rules, legality at a state level is more complicated. States where hemp is still illegal—South Dakota, Idaho, and Nebraska—do not permit the sale or use of hemp-derived CBD oil. In states that permit recreational cannabis—California, Vermont, Massachusetts, Maine, Oregon, Colorado, Washington, Nevada, Michigan, and Alaska—CBD derived from both hemp and psychoactive cannabis is legal. In all other states, hemp-derived CBD is legal. The FDA has yet to approve of CBD, so most of the big online retailers like Amazon and Walmart don’t allow CBD products to be advertised. However, Amazon sells a ton of “hemp extract” tinctures and oils with “hemp extract content” listed in milligram dosages—a workaround for listing the CBD content. If you’re looking for CBD-rich hemp oil, watch out for culinary hemp oil, which comes in larger quantities and has no discernible CBD content. CBD-rich hemp oil will come in dropper bottles, not liters. You can also buy directly from manufacturers online who proudly advertise their CBD content. I’ve heard good things about Ojai Energetics and Sabaidee, though I haven’t used either. Many health food stores sell it. Surprisingly, I’ve seen it in every pet store I’ve entered in the last half year. Word of Caution: Because it isn’t regulated by the FDA yet, there’s no telling exactly what you’re getting. Choose a product with verifiable lab tests. Many CBD hemp oil products have far less CBD than advertised. In addition to CBD content, the most reputable manufacturers also test for pesticides, heavy metals, mycotoxins, and bacteria and advertise their results. CBD-rich hemp oil is a hot topic these days, and it’s only going to get hotter. I think the compound shows great promise in promoting health and wellness, and I’ll look forward to doing more research as it unfolds. For now, what about you? Do you use CBD? Have you noticed any benefits? Any downsides? Share your questions and feedback down below. Thanks for reading, everyone. Take care. Bergamaschi MM, Queiroz RH, Chagas MH, et al. Cannabidiol reduces the anxiety induced by simulated public speaking in treatment-naïve social phobia patients. Neuropsychopharmacology. 2011;36(6):1219-26. Lattanzi S, Brigo F, Trinka E, et al. Efficacy and Safety of Cannabidiol in Epilepsy: A Systematic Review and Meta-Analysis. Drugs. 2018;78(17):1791-1804. Serpell M, Ratcliffe S, Hovorka J, et al. A double-blind, randomized, placebo-controlled, parallel group study of THC/CBD spray in peripheral neuropathic pain treatment. Eur J Pain. 2014;18(7):999-1012. Silva RL, Silveira GT, Wanderlei CW, et al. DMH-CBD, a cannabidiol analog with reduced cytotoxicity, inhibits TNF production by targeting NF-kB activity dependent on A receptor. Toxicol Appl Pharmacol. 2019;368:63-71. Carvalho RK, Souza MR, Santos ML, et al. Chronic cannabidiol exposure promotes functional impairment in sexual behavior and fertility of male mice. Reprod Toxicol. 2018;81:34-40. Morgan CJA, Freeman TP, Hindocha C, Schafer G, Gardner C, Curran HV. Individual and combined effects of acute delta-9-tetrahydrocannabinol and cannabidiol on psychotomimetic symptoms and memory function. Transl Psychiatry. 2018;8(1):181. Morgan CJ, Schafer G, Freeman TP, Curran HV. Impact of cannabidiol on the acute memory and psychotomimetic effects of smoked cannabis: naturalistic study: naturalistic study [corrected]. Br J Psychiatry. 2010;197(4):285-90. The post 5 Hemp Oil Benefits For Health and Wellness appeared first on Mark's Daily Apple.